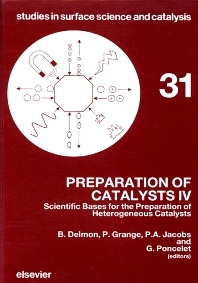 The proceedings of the IVth International Symposium on the Scientific Bases for the Preparation of Heterogeneous Catalysts'', are presented in this volume. Since its start in 1975, this series of Symposia has continued to attract increasing scientific attention. An appreciable proportion of the papers presented at this Fourth Symposium stemmed from industrial research laboratories. The symposium dealt with catalysts for selective oxidation, hydrodesulphurization, Fischer-Tropsch catalysis, methanol synthesis, metal supported catalysts and new trends in catalyst preparation.